Is it time to sell your home? 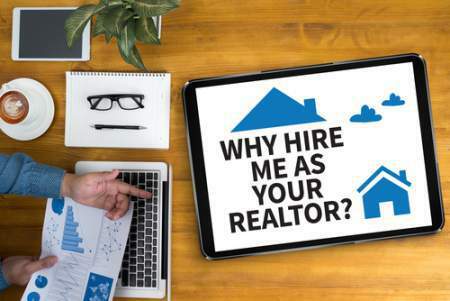 Are you relocating because of a job, or are you in a hot real estate market where you will be able to make some money? Getting your home ready to sell and putting it on the market can be an easy process if you follow the right steps. We’ve put together what we think are the most important steps for a successful transaction. A good real estate agent can make selling your home significantly easier and potentially save you thousands of dollars. Talk to friends and family who have worked with an agent recently to get recommendations from them. Ask them why they chose the agent they did. Go online to multiple listing service sites where buyers and sellers can post reviews of the agents they have worked with and read through them. Once you have picked out a few potential agents, call them and ask them questions. Make sure you can get along with them. No one wants to work with someone they don’t like. This step may be the most labor-intensive if you have a lot of things to do, but it’s the easiest step. Once you have found an agent, have them come to your home and offer suggestions on ways to approve buyer appeal. It’s important to keep paint and décor neutral. Adding pops of color is appealing, but you want to create a space that appeals to a broad range of potential buyers. Sit down with your agent and figure out what the best asking price would be for your home. Go over sales of homes that are like yours and in neighborhoods that are in your area. You will also need to check in with your bank to see what your payoff is on your mortgage, if applicable, and make sure you set your price so that you won’t end up in the hole when it comes time to close. Again, we can’t state it enough, listen to your agent’s advice here. Ultimately it is your choice on what to price your home at, but they know the market and work in it every day. They know what they’re talking about. Once you get an offer on your home, you have a few options. You can accept the offer, make a counter offer or decline the offer. A lot of times buyers don’t expect their initial offer to be accepted, and in most cases, they are expecting a counter offer. Make sure you discuss with your agent. See what they think you should do and take that into consideration, as well. Once you’ve accepted, you will need to sign a contract and wait for everything to finish up. Once you’ve accepted the offer, your buyers will likely have a home inspection done. You will need to have your home open and ready for the inspector to come in and do their work. If there are any problems on the home inspection, the buyer may want to renegotiate terms, or have you make repairs to bring everything up to code. If everything gets finalized with the home inspection, then the bank will have an appraiser come to appraise your home, so you will need to have the home ready for appraisal, as well. If the appraisal comes back with no problems, then title insurance will be ordered, followed by a deed and a termite inspection, if required. After all the paper work, inspections, and appraisal have been completed, you should be ready to close. You will need to show up at a bank, title insurance office or an attorney’s office for the closing. The buyers will, in most cases, go in and sign all their loan paperwork first, if applicable, while you sit out in the lobby. Once their loan paperwork has been completed, you will need to go in and sign whatever documents they have for you. 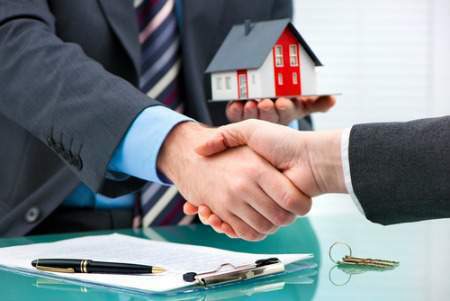 You will sign a deed, some sort of settlement statement, and anything else that is required of you, depending on where you are selling your home. Once the closing package has all been signed, you will receive a check for your proceeds, if applicable, and your home is sold!